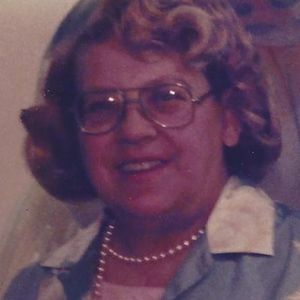 Wilma Egle Smith of Brattleboro, Vermont passed away peacefully in her sleep on April 3rd, 2019 after a period of declining health. Wilma was born April 13th, 1925 to parents John and Alma Egle of Nantucket, Massachusetts. She graduated from Nantucket High School in 1943. Wilma "Billie" married the late Robert Royal Smith in 1946. She is survived by two daughters, Linda Smith Tuite and Cheryl Smith Benton, eight grandchildren, Jennifer Tuite Wolf, Amy Tuite Kelly, James Joseph Tuite IV, John Robert Tuite, Mark Andrew Tuite, Michael Francis Tuite, Elizabeth Chloe Benton, And Ethan Robert Benton, Fifteen great-grandchildren, two great-great grandchildren, and one on the way. Wilma was predeceased by her loving husband, Robert "Bob", who passed away in 1995, her sister, Erna Blair, and a brother who died in childhood, John Egle. Wilma "Billie" was devoted wife, mother, grandmother, and homemaker, who cherished her legacy of family. In her younger years, she spent time in nurses' training and worked for some time as a nurse's aide. She volunteered her time to many school and community activities. She had a mischievous sense of humor, loved the ocean, and enjoyed word games, reading, puns, scrabble, and crossword puzzles. She adored her grandchildren, great-grandchildren, and great- great grandchildren. She took great joy in life, to the very end. A memorial service will be held on Saturday April 13th, 2019 at 11 AM at the West Brattleboro Congregational Church. Add your thoughts, prayers or a condolence to Wilma's guestbook.